From ESPN to Monumental Sports Network: what does the future of sports broadcasting look like? The real reason for ESPN's recent setbacks, and how networks are shifting their business models to adapt to a changing sports media landscape. WASHINGTON — When ESPN laid off more than 100 reporters and on-air talent earlier this year — following nearly 300 behind-the-scenes layoffs last fall — the fallout was oddly celebrated in some corners of the industry, while onlookers rushed to judgment about the fate of the Worldwide Leader. The reasons espoused for ESPN’s recent cuts have been myriad, and they’ve been mostly wrong. The idea that they had anything to do with people boycotting the network because of its perceived political bent isn’t a serious one and doesn’t even deserve a response. The real cause is a combination of the rising cost of rights fees for the sports leagues ESPN carries, coupled with the a continued loss of cable subscribers as consumers shift away from traditional cable packages. ESPN’s subscriber base is down more than 13 percent since May 2011. “I think that while (the layoffs are) incredibly unfortunate, it is sort of a sign of changing times,” said Zach Leonsis, the Vice President and General Manager of Monumental Sports Network. He pointed out that in just the first quarter of 2017, Netflix surpassed cable in terms of total subscribers in the United States. “There’s just a gradual shift in changing preferences for how people want to digest their content,” Leonsis said. As subscribers have dropped off, ESPN’s spending on live sports rights has grown, especially with its new NBA deal beginning this season. ESPN pays $4 billion a year for the rights to cover the NBA, MLB and NFL. There is an argument to be made that ESPN has overpaid for some of those rights. But Ourand sees it as the cost of business for the preeminent sports media giant. “For the premium properties — like the NFL, NBA, baseball, college sports — there’s no such thing as a rights bubble,” Ourand said. In that sense, the idea the network has “overpaid” for live broadcast rights to sports is only accurate in the balance-sheet sense of the word. Wall Street’s primary metric for evaluating companies is net revenue growth. Even if a company is still making money, if it’s making less money than it did in the past, that company will feel pressure to make changes to keep investors happy. That is what is happening at ESPN. As ESPN’s growth rate has slowed, the stock prices of its parent company, Disney, have dropped 9 percent. The loss of subscribers has been exacerbated by the increase in rights fees this year, but deals like the one with the NBA should look better as the length of the deal wears on. Regardless of whether one believes ESPN overpaid for their current crop of rights, the reality is that live sports remain the foundation of a sports network’s raison d’être in 2017. But ESPN wasn’t originally built on a live sports model. Its core programming — SportsCenter — is a highlight show ideally suited for the network’s rise in the 90s. But SportsCenter’s original format is desperately out of date in a day and age where users can access their own team’s highlights from any numbers of sources instantly on any number of devices that aren’t a television. Few people, if any, will sit and wait through an undetermined portion of an hour-long show simply to catch 30 seconds of their team’s highlights. Needless to say, that’s driven the shift in the network’s presentation of its flagship show, as it has created different flavors based around the personalities that host the program. The network has not just allowed, but encouraged the familiar personalities it has cultivated — like Jemele Hill, Michael Smith and Scott Van Pelt — to let their own styles carry the shows. “Since we launched the midnight show with Scott Van Pelt, it’s been really clear that SportsCenter can be distinguished when it’s built around unique personalities and unique conceits, especially those ideas, personalities and conceits that work for specific audiences,” ESPN Senior Vice President of SportsCenter and News Rob King said upon the announcement of SC6, featuring Hill and Smith. SC6’s time slot allows for more improvisation and conversation, taking place weekdays between 6 p.m. and 7 p.m. ET, the hour before most live sports begin on the East Coast. For Van Pelt, the midnight-or-whenever-the-live-game-that-precedes-him-ends placement allows him plenty of opportunity for live post-game interviews — a format he’s very comfortable with — as well as other antics better suited for that hour. “The long and the short of it is they allowed me to do this show at midnight, when they’re all asleep and I’m allowed to do whatever I want,” Van Pelt told WTOP in a conversation late last year. Van Pelt’s approach is more laid back and personable, a compelling antidote to the screaming-heads model across many sports networks’ daytime original programming slates. Van Pelt acknowledged that his style cuts against that industry trend. Van Pelt also notably engages on-air with personalities from outside the network, like SB Nation’s Spencer Hall, something many media entities are increasingly reluctant to do in an age of evermore insular outlets. There have also been subtle shifts in the segment formats within SportsCenter shows. What was once an almost all highlights show is now a mix of bits and pieces, a number of which are more evergreen, like Van Pelt’s “One Big Thing” segment or John Buccigross’s Star of the Night. As media consumption habits have changed, so has the show’s delivery methods. Van Pelt’s “One Big Thing” is essentially a column, distilled to a two-minute video. From ESPN.com to social media platforms (where SportsCenter boasts 34.1 million Twitter followers, 9.6 million Instagram followers, and 3.86 million Facebook likes), that bit can live independently in other formats where it can be accessed well after airing. But shows like SportsCenter also add value as they continue to serve as de facto advertisements for the games, reminding and driving viewers to the network’s core programming. From the outside, Leonsis still sees that as their most valuable purpose — to support the live game coverage. Ted Leonsis’s ever-growing local behemoth, Monumental Sports & Entertainment, now encompasses sports and entertainment properties in the NBA, NHL, WNBA and AFL, with an NBA G-League team on the way. Monumental Sports Network, his son Zach’s domain, airs programming related to each, but also stretches far beyond just those teams. The network aired its first cycling event earlier this month, as well as the Citi Open Wild Card Challenge. As eSports continues its somewhat stunning, meteoric rise, despite the fact that many viewers aren’t even gamers themselves, Monumental has jumped into the fray. They recently held their first live eSports event, a demo with Team Liquid, with which they’ve invested. While the network will continue to focus on these other properties, along with minor league hockey and local youth sports, they’ve positioned themselves to be ready if cable’s reckoning comes crashing down. While the younger Leonsis insists Monumental’s relationship with current Caps and Wizards home Comcast SportsNet remains strong, it’s clear he understands the power that live sports holds over a sports network. In the meantime, Monumental is experimenting with its own original shows, looking for ways to tap into their resources to connect with the kinds of fans who would be drawn to a subscription. Much of that content comes thanks to the unparalleled access the network has to the players under Monumental Sports’ umbrella. But they also dabbled recently in an original show featuring Joe House — the outspoken D.C. sports fan who rose to prominence through Bill Simmons’ platforms — trying to capture that same sense of personality that the cadre of new SportsCenter hosts are providing for ESPN. That’s The Reason is specifically not a highlight show, but something different entirely. 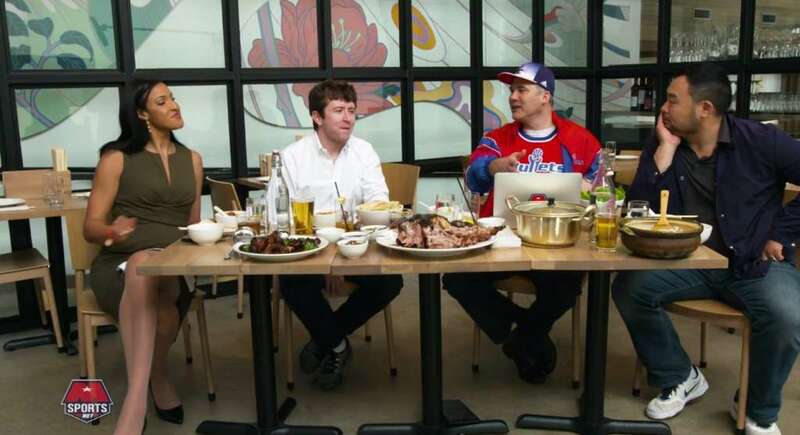 Along with Sports Illustrated’s Andrew Sharp, former Maryland basketball star and current analyst Christy Winters-Scott, and local restaurateur David Chang, House spent the premier re-watching and reliving a classic Washington Bullets game around a table full of food. There’s also no pressure of having another episode ready to run in a particular time slot. As a non-broadcast network, Monumental can cater to demand, doing as many shows as they want, releasing them whenever it makes sense to do so. 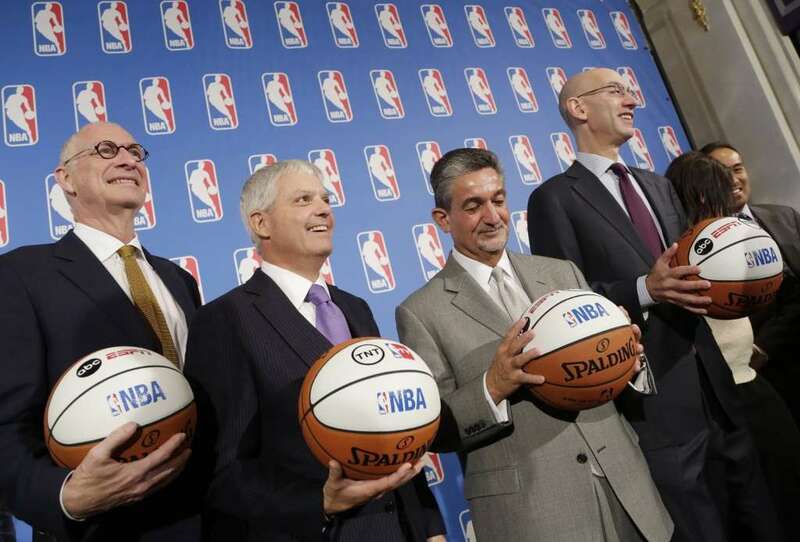 For Leonsis, it’s simply a matter of catering that content to the subscriber’s interests. Regardless of what the future of cable holds, both Monumental and ESPN are busy preparing for a potential industry shift to over-the-top (OTT) or direct-to-consumer (DTC), online-only options. Monumental already offers subscription packages featuring over 500 live events a year. They have a free app to watch programming on your phone, and are offering three-month free trials to woo new subscribers. Meanwhile, ESPN has announced that it will unveil a new DTC service, in conjunction with its investment with MLB’s BAMTech, later this year. Much like Monumental, the service will carry more niche sports and will not simulcast programming from ESPN, at least to start, helping further expand the network’s live sports offerings. In the meantime, other entities like Twitter and Yahoo! 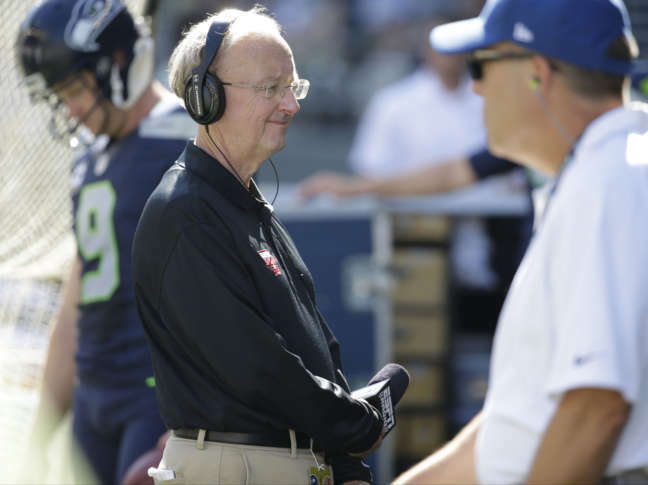 have dipped their toes into limited NFL broadcast rights, with Amazon following suit later this year. But the elephant in the room — Facebook — doesn’t appear to be a challenger to the major programming ESPN has staked its future on, at least not yet. “So far, Facebook has not shown any evidence that they really want to get involved in the rights business,” said Ourand. But Facebook’s deals with smaller entities like the Atlantic-10 and NBA G-League (formerly called the D-League) have found success tapping into small, captive audiences of sports fans, potentially threatening the smaller college sports networks if that success continues. For the foreseeable future, ESPN will continue to be the destination for most major sports broadcasts, with several years left on its MLB (2021), NFL (2021), NBA (2024-25) and College Football Playoff (2025) deals. While the platforms and devices we use to consume those games may change, chances are they’ll still be delivered by ESPN.